A two-year project in the making, kele Fleming’s 5th record no static is ready for the world to hear. 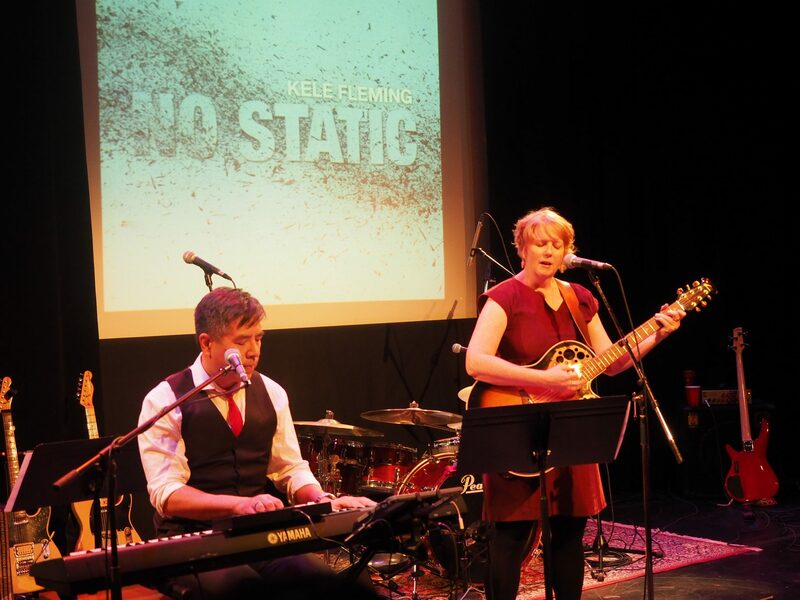 Fleming will return to the Vancouver East Cultural Centre (the Cultch) for the release of no static on Saturday, October 15th, 2016, this time accompanied by her co-writer and artistic collaborator for the album: Ron Yamauchi. A departure for Fleming musically, no static features short, structured pop songs due to the influence of Yamauchi, who co-wrote all songs on the record. It is the best of Fleming’s flowing and open-ended literary pop, improved by Yamauchi’s notion of short, structured, baroque pop. Yamauchi first met Fleming after writing a review of Fleming’s former band hazel motes for a local entertainment weekly, and admired her artistic talent. no static is a beautiful heart and gut record, exploring the universal themes of our time through personal and local narratives. Fleming writes from where she is: the missing women of Vancouver’s Downtown Eastside, the loss of friends and love, to the silent alienation suffered within society’s systems, and the role of technology in shaping identity and culture. The album brings forward what is most raw for us in a way that also brings light in – it reflects the essential beauty available to the human experience: moments of personal redemption, love, and wholeness. The lead song, ekologik, embodies these themes and Fleming and Yamauchi consider it their artist statement for the record. no static was recorded, mixed and mastered by Brent Cross at Grizz Studios. Additional recording by Gary Jones and additional mixing by kele fleming. Who – kele and Ron will be joined onstage by Vancouver indie musicians…members of Silent Martin (Ken Schroeder, Jenny Beech and Lorri Dar); Lisa Butel and Brent Cross (Her X and the Wildman and LBS); and Lara Kroeker. Tickets – Ticket sales open now…Visit Facebook for details.